We know lots about this season of Scream Queens; We know absolutely nothing about the new season of American Horror Story. The former will take place in a hospital, while the latter will take place ??????????????¯\_(ツ)_/¯?????????????? 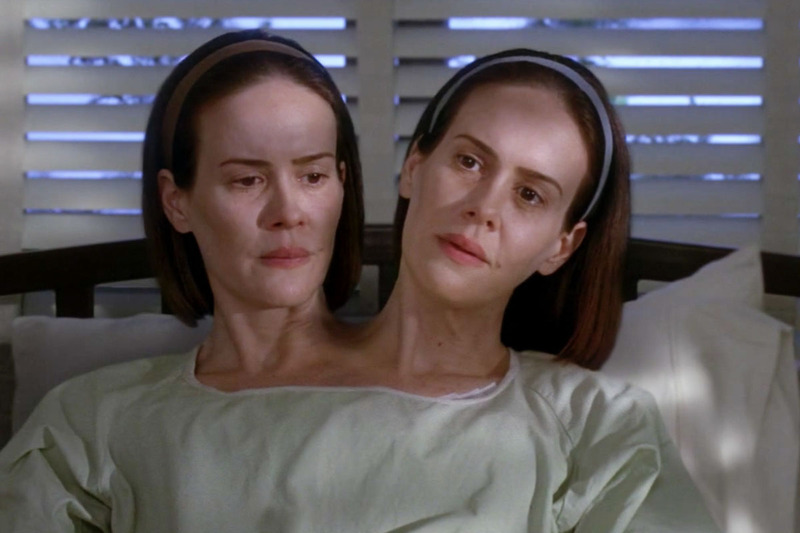 But some brand new AHS evidence strongly suggests that it’s very possible these two shows will take place in the same place — maybe even the same time. Okay, to back up a bit, we already noticed a major AHS Easter egg in one of the Scream Queens promos. New Scream Queens cast member, John Stamos, is seen pushing a patient who’s got a giant QUESTION MARK scar on his head, just like one of the AHS promos for this season. At at the time, we just assumed it was a cool shoutout from one Ryan Murphy show to the other. But now, we’re not so sure. Now, it kinda feels like that was the first clue that these two shows are very much connected in more ways than one. Earlier today, the Twitter account for FX Latin America tweeted out a new AHS promo image for the upcoming season. The thing is, though, we’ve never seen this promo image before. It doesn’t relate back to ANY of the two dozen AHS promos. And, it’s at a hospital. Roughly translated, it reads: A hospital may be darker than you think. Right now, AHS is actually still releasing ~new~ promos for the upcoming season (because it’s not done messing with us just yet). But, even still, all the promos still relate back to some ~spooky~ theme, and involve empty fields, or aliens, or spiders. This promo is COMPLETELY DIFFERENT. This could still be nothing more than a coincidence, and this is another fake promo. Or whoever’s running the FX Latin American account just confused Scream Queens and AHS, it happens. Or we’re slowly getting more and more evidence that the Chanels are about to go up against Sarah Paulson.